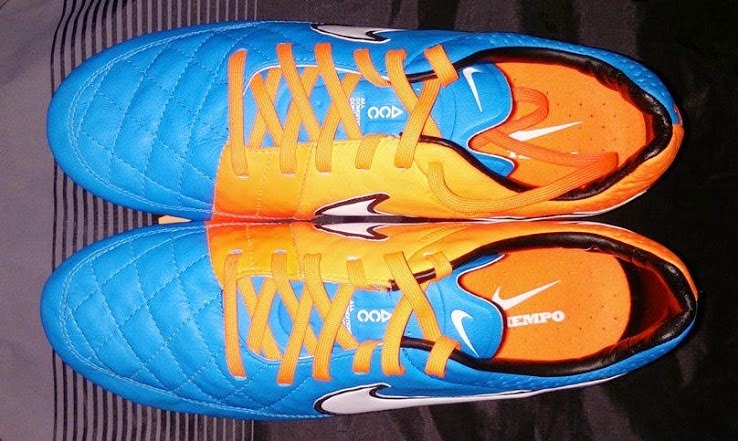 Nike will have a new boot coming out this fall; it will be the Nike Tiempo Legend V Neo Turquoise. 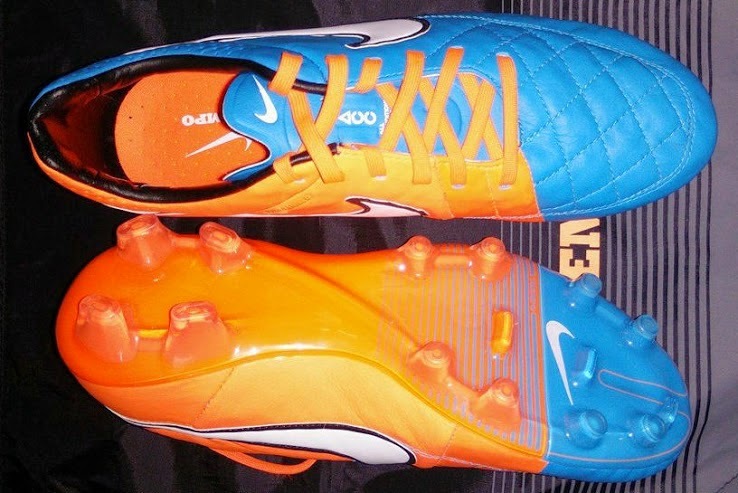 The fall release will also include the light blue Magista and the orange Hypervenom. 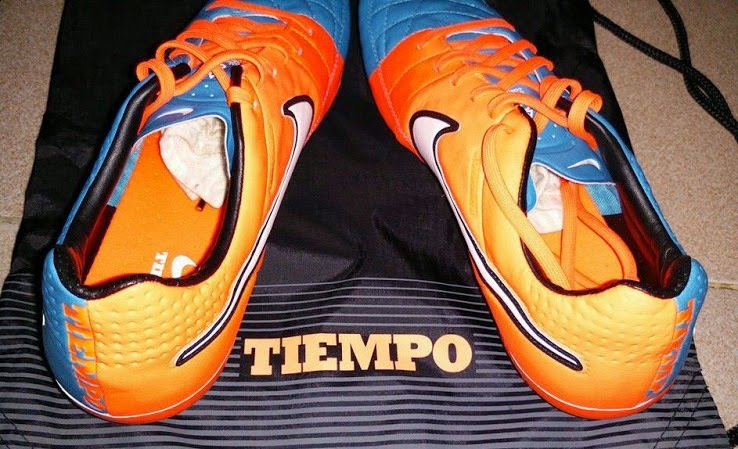 The new Nike Tiempo Legend V is made for all playing conditions and it is very light. It comes in an updated color of blue and orange, to give a new bright look to this classic design. The leather boot will look more attractive to the new users while keeping the same design and materials used in previous releases. Nike designed this boot thinking of all playing conditions, so it add a new 2 layer Dri-Tech material to prevent the boot from absorbing too much water, while the hypershield technology creates a more snug fit that keeps the boot from losing its shape.